Virgin Media - but what about the light pole-lution? 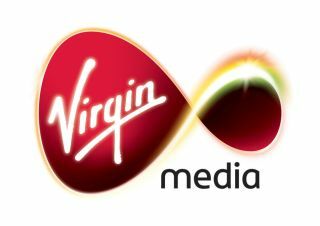 Virgin Media has announced that it is trialing the use of telegraph poles to deliver superfast 50Mbps broadband, with the village of Woolhampton serving as the test-bed for the technology. The trial will see the Berkshire Village offered the chance to get ultrafast broadband, as well as a Virgin Media cable television – with the trial starting this month and running until September. Virgin Media has already announced that it is looking to extend the reach of its fibre-optic network, and believes that using telegraph poles could extend the reach to another million homes. Neil Berkett, Chief Executive Officer of Virgin Media, said: "This unique trial will allow us to understand the possibilities of aerial deployment and may provide an exciting new way to extend next generation broadband services. "With everything from BBC iPlayer to YouTube increasingly demanding reliable ultrafast broadband speeds, we're keen to ensure that all communities, in towns, cities and villages right across the UK, stand to benefit." Virgin Media's network is currently available to 12.6 million homes, and the company is benefiting from the broadband speed benefits of a fibre-optic infrastructure. "Virgin Media believes that using overhead poles as well as underground ducts could, in some cases, significantly improve the viability of delivering next generation digital services to rural communities and continues to explore a range of innovative solutions that could allow it to further increase coverage," added Virgin Media.